The festive season can be a juggling act for small businesses and start-ups. How do you deal with a short month like December while delivering on increased demand? And how are you going to keep your cool in the thick of it while keeping a cool atmosphere at the office? The holidays are an exciting time for small businesses to increase output, but driving a successful end of year can be quite challenging. 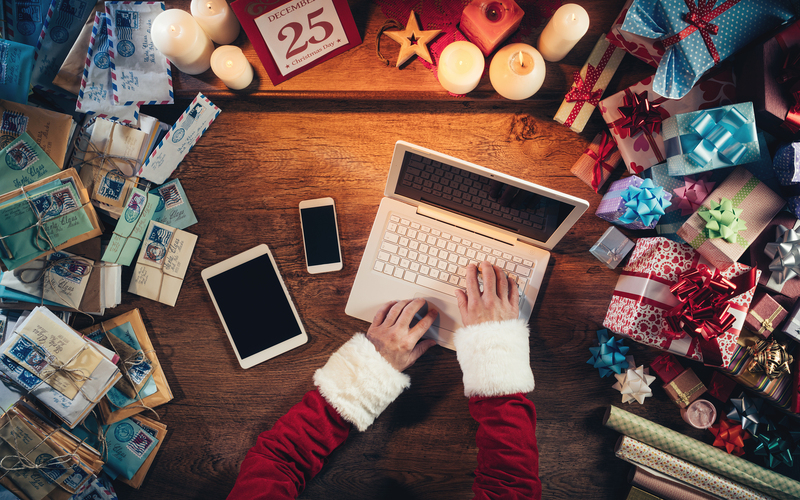 You want the Christmas rush to empty your shelves, but you’ll need an excellent courier service to deliver your goods by the dates you’ve advertised. Here are some tips to help you through your first big holiday rush. Keep your hardworking staff happy. They might be working overtime to help you achieve your year-end goals, so be sure to reward their efforts in thoughtful ways. One idea, for instance, is to consider that while your employees are helping you empty your shelves, they might want to be buying gifts and emptying shelves elsewhere. Set a few half days aside to allow your staff time for shopping and gifting. Also, decorate the office and bring in extra Christmas puddings. Partner gifts can be another thoughtful way to help staff feel included. You don’t want a bleary-eyed employee mistakenly sending gran’s meds to a boy expecting a box of mints in Gloucester. Rest should be encouraged with a no-afterhours work policy or even quiet rooms that can be used for short naps. 15 minutes of rest can make a world of difference and increase productivity two-fold. Holiday rush doesn’t just happen once a year over Christmas. End of summer sales, Bank Holidays and Black Friday all precede that bearded bearer of gifts, Father Christmas. A seasoned CEO will make preparations for Christmas sales the summer before. All the tech needs to be up and running, and the right people need to be ready and trained well in advance. Packages won’t go out on time unless a company pairs up with a reliable delivery service that can help advise on the best shipping practices during a sales rush. There’s more to planning for a successful end of year than manning the deck during the holiday storm. Plan ahead, make sure you give your staff plenty of rest and be prepared well in advance for the best year you’ve had to date.